It took me longer than usual to finish this book. First, I love the look of the book. The cover is gorgeous in black and yellow and the pages are colored in red. Such a stunning presentation. From the first few pages I was intrigued and captivated. Leslye is a fine storyteller. The history of the "witches" of Anathema Island sets the story up nicely so we can follow the ancestors of the original Rona Blackburn. The Blackburn witches have been cursed to live their lives with only 3 days of love. Enough to keep the bloodlines going. Nor, our current Blackburn's mom tried to kill her when she was young. 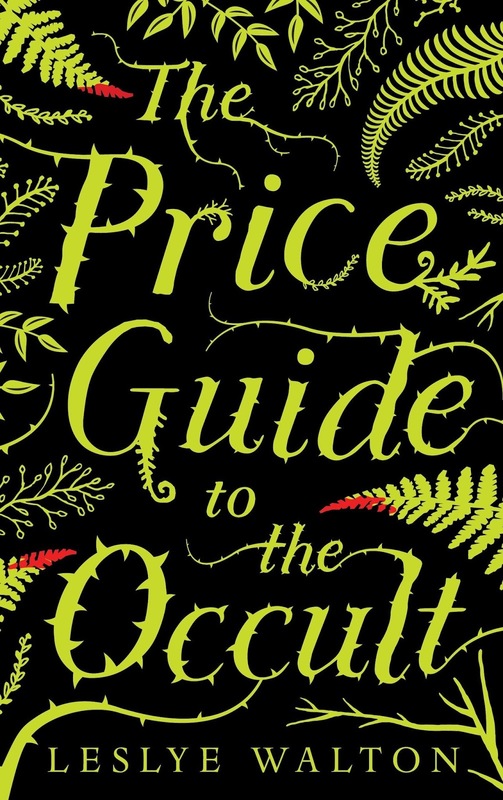 There is no love lost there and they haven't had contact for years but now dear old mom has written a book called The Price Guide To The Occult and her followers are eating it up. The spells work and she is being hailed for it. What can Nor do? Who is paying the price for these spell? What can Nor do to stop this and right her mother? OK...let's start with this. I loved the first half of this book. It took long to finish because somewhere in the book I got confused with so many characters and none of them were fleshly enough. Honestly, I really wanted to love it but it wasn't there for me. There was so much going on and felt very much like two very different books. With that being said, I think Leslye definitely has the skills. She definitely had my attention in the beginning and I found myself reading out loud because I really wanted to hear the words. It all just didn't come together and the end felt very rushed.